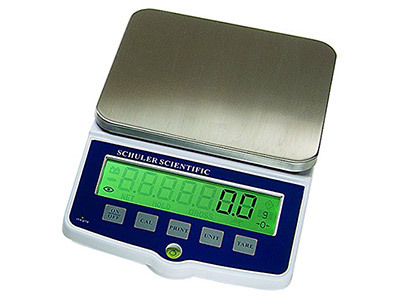 Entry-level balances for basic weighing needs. Sturdy construction and ease of use make the E-Series the ideal choice for your lab. Simple Operation. 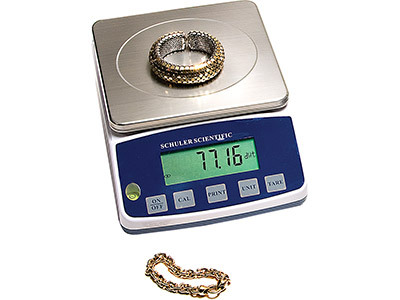 Five dedicated keys (On/Off, CAL, Unit & Print) provide quick, effortless weighing. Portable. Use the E-Series on the bench top with standard AC power adapter, or carry it out in the field. Easily connect your balance to a computer or printer via the RS232 port. Operate the on the bench top with standard AC power (adapter included). For field use or when moving from lab-to-lab, six AA batteries is all it takes. In the battery operation mode the unit will automatically shut off after five minutes. A low battery indicator will alert the operator before power expires. Calibrate your E-Series balance by simply pressing the CAL button. 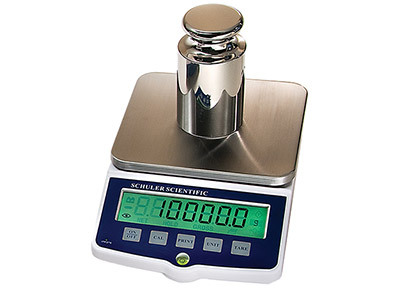 The balance guides the user through the procedure by prompting the user to place the designated calibration weight onto the pan. Scroll through sixteen modes including gram, ounce and pound. 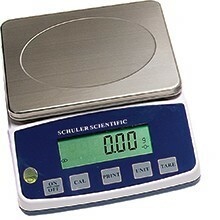 Simple Operation with five dedicated keys (On/Off, CAL, Unit & Print) provide quick, effortless weighing.